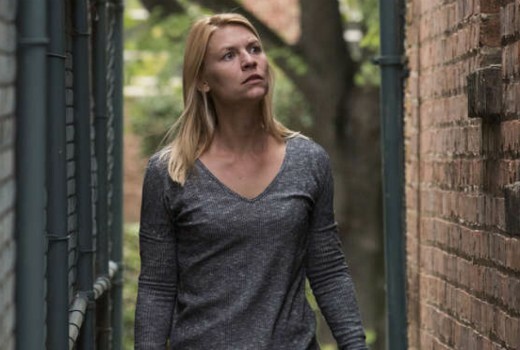 No surprises here, Homeland has confirmed its eighth season, due in 2019, will be its last. The news follows Claire Danes recently telling Howard Stern she was conflicted about the likelihood of a final season. She later told clarified, “It’s not unequivocally conclusive. Filming of Season 8 will begin in January, later than previous seasons, due to Danes’ pregnancy. Homeland airs in Australia on SBS. The broken remains of Carrie should be left to rest in peace-did folks see what she was like in the final prisoner swap scene of the last series? Oh no, we can’t leave her / us there! Hopefully it will pick up 6 months or so later after she’s had treatment & recovered from her ordeal. Considering the show was based on the Israeli series Prisoners of War it certainly has mutated since Damian Lewis left, this asks the question why, apart from studio politics, Homeland could not have developed a few more regular characters to fill the spaces spy shows usually leave due to attrition, especially the Carrie Mathison role, which lost credibility which each new season, a refresh may have helped it along especially with today’s political climate. Not every season has been top notch (some have been a chore) but surely the character of Carrie has explored all kinds of new things (including motherhood) we never saw in S1. We got more on Saul, Peter Quinn and F. Murray Abraham as Dar Adal. It’s a bit like 24, needs the hero as the centre of the universe regardless. 8 seasons is more than I would have expected but I’ve come this far, so I will hang in for 1 more.